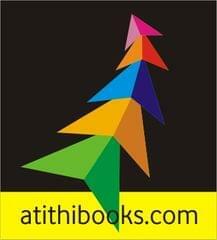 The term ' atithibooks.com ' or 'us' or 'we' refers to the owner of the website whose registered office is 2/25, 1st Floor, Arun House, Ansari road, Dariya ganj, New Delhi 110002. The term 'you' refers to the user or viewer of our website. Your use of this website and any dispute arising out of such use of the website is subject to the laws of India or other regulatory authority, at New Delhi Jurisdiction only.